If you’re looking to lower your cholesterol, you need some healthy fat… specifically the plant-based fat oleic acid. You’ll find it in olive oil, avocado, almonds and pecans. And according to Loma Linda University, it lowers bad cholesterol as quickly and effectively as prescription medications. You need about one-third of a cup of almonds and pecans daily. And two new studies show that eating an avocado a day is as effective as taking prescription statins for high cholesterol. The secret to a long life might be eating spicy foods. A Harvard Medical School study found people who ate fresh and dried chili peppers at least 3 times a week were 14% less likely to die prematurely…… Specifically from heart disease, cancer, and Type 2 diabetes. Compared to those who rarely ate spicy foods. That’s because peppers help lower cholesterol, inflammation and oxidative stress – and help grow healthy bacteria in our digestive tract. Do you have a cholesterol problem? Did you know that cholesterol medicine grows on trees? It’s called kiwi fruit! People who eat at least one kiwi a week have 8% higher GOOD cholesterol – and 16% lower levels of bad blood fats. We can thank the antioxidants in the kiwi for that. If it’s tea time, choose Oolong tea. This Chinese staple can keep your cholesterol in check, aid digestion and increase metabolism. In one study, people who sipped oolong tea lost a pound a week without changing anything else! One pound of lobster meat provides a day’s worth of protein…plus, it’s a good source of key vitamins and minerals, like B12, copper and selenium. But don’t worry about the cholesterol: a study in the Journal of the American Dietetic Association found no link between the dietary cholesterol in shellfish, and heart disease risk. 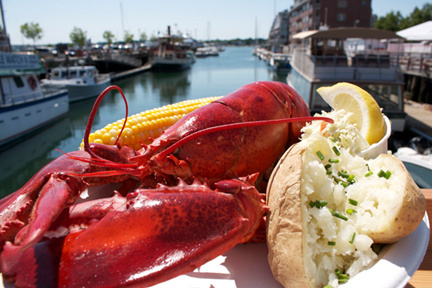 If you’re cooking: Drop a live 1-pound lobster into a large pot of boiling salted water, and cover the pot. Cook about 10 minutes, until the shell is a deep rusty red…And add 2 minutes for every additional one-quarter pound. But ditch the butter. Lobster meat is rich enough all by itself. So, top each forkful with a squeeze of lemon instead.